This morning’s post is just a few pictures and random short notes. 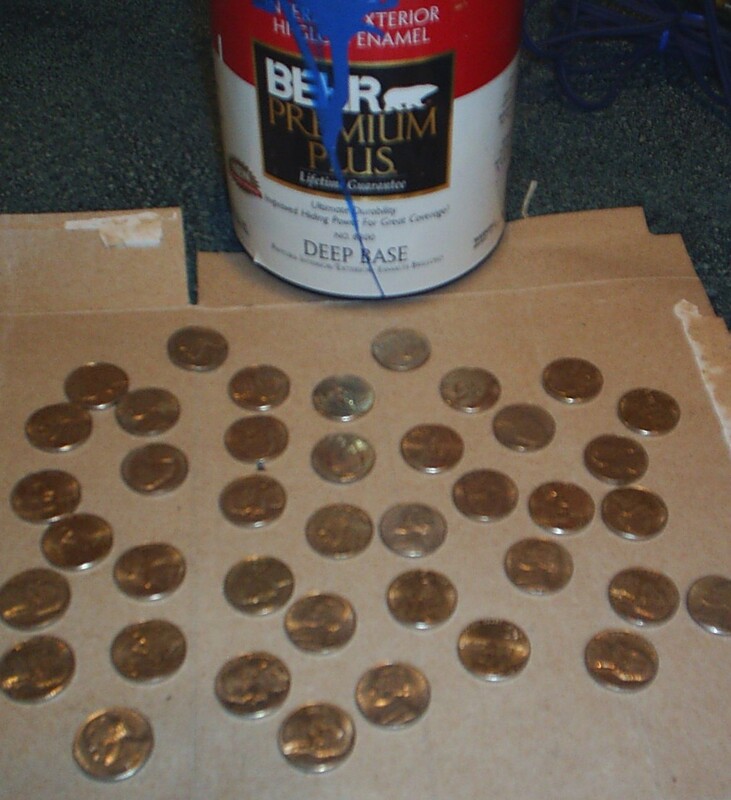 First….here is a project I recently did….hmm, some nickels, blue paint…I wonder what I am up to with that? 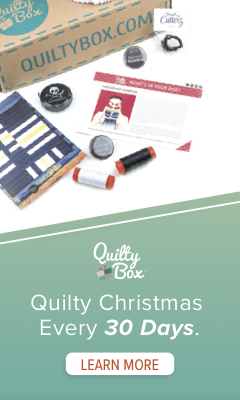 If you ever get anything as a prize or eventually buy something from Blue Nickel Studios….you will find out! 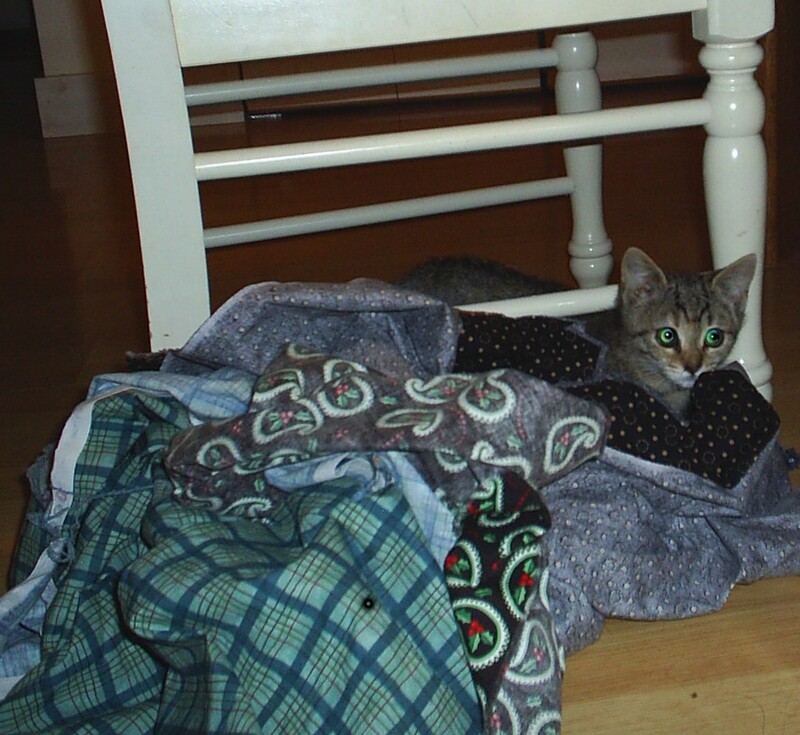 🙂 The last couple of posts have shown our outdoor cats, Sassy and Jade….here is the kitten, One-Eyed Pete (her eye is healed now, so well, she is missed named, oh well) Pete (or Bad Baby) has been loving it when I wash new fabric as I throw it on the floor for her to play with while I get the machines ready…Here she is sitting in Sandy Gervais Tranquility and Mary Engelbreit’s Isn’t Christmas Jolly fabrics that I am working with for quilt designs to be published in the future. 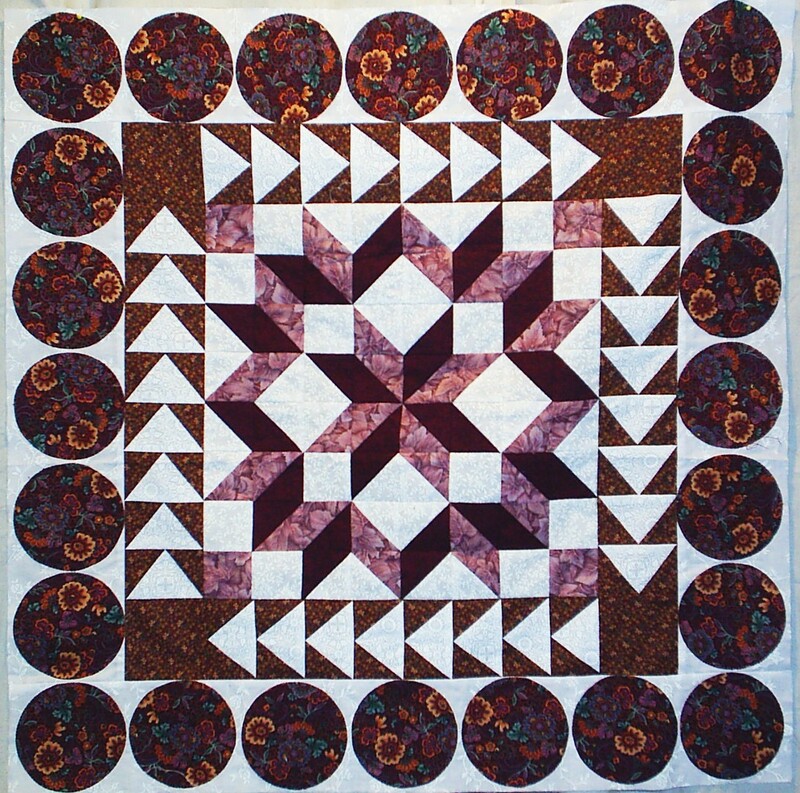 Here is a Round Robin project that I am working on from the QuiltGuy yahoo group I belong to. Here is the original center made by one of the guys And here it is with the rounds so far I now need to add a 5 inch border with some applique. I don’t really like to do applique, but I did come up with an idea for it, so I am working feverishly on it now, as I got it sent to me about 2 months behind schedule as it is. I want to post more today, but I have to go run to work for awhile today even though it is Labor Day. 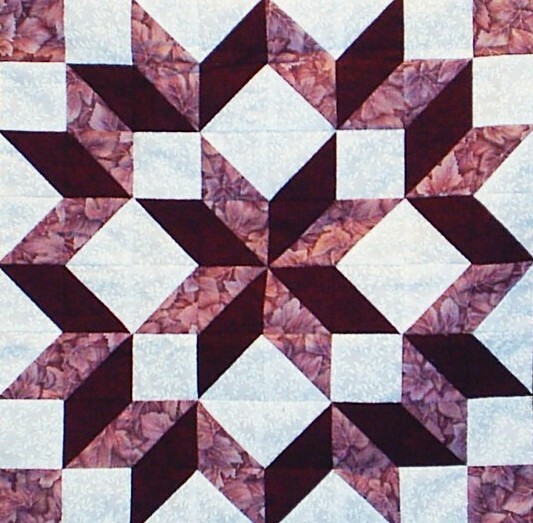 I hope to post again tonite, hopefully with more news, like a picture about the next round on the above quilt, a link to my friend Mark Lipinski’s new line of fabric coming out, and a couple other exciting things like and “award” and a new project I am about to embark on!